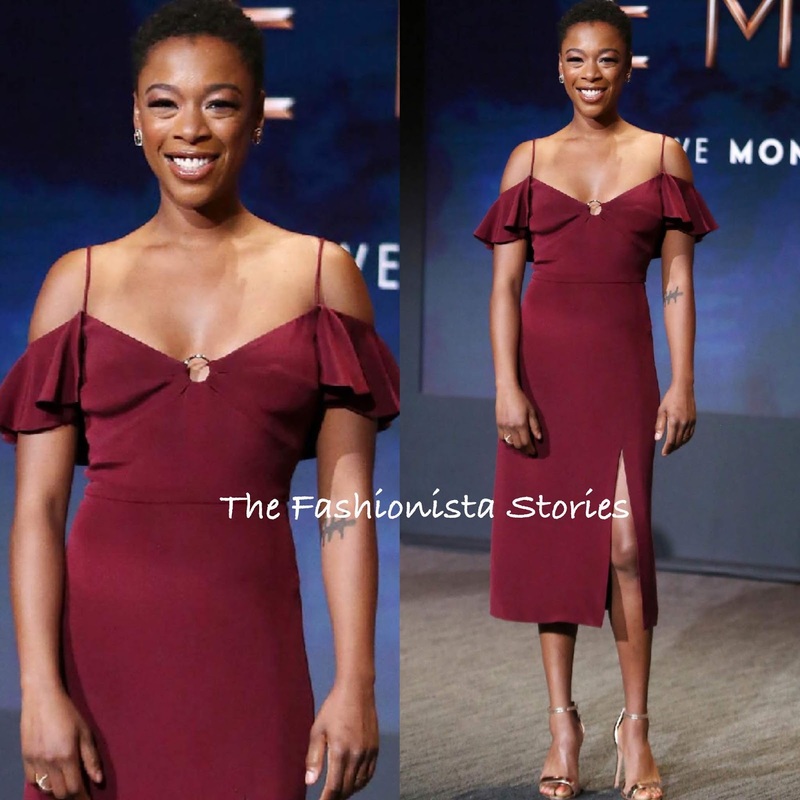 Yesterday morning(July 12th) Samira Wiley was on hand for the 70th Primetime Emmy Nominations Announcement in LA at the Saban Media Center. The actress looked beautiful wearing the CUSHNIE ET OCHS RESORT 2018 'Blake' auburn silk-Georgette, ruffle cold-shoulder pencil dress which stopped just below her knees and featured a ring detail on the neckline and a split. Adding a touch of sparkle to her flirty look, she accessorized with MARLI diamond earrings and a MATTIA CIELO diamond ring which topped off her look along with the SCHUTZ 'Cady-Lee' sandals.